Hi everyone! 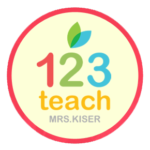 I’m Brittany Kiser, from 123teach, and I’m so excited to share some ideas from my classroom in hopes that together, we can help students build confidence in math class! As a middle school math interventionist, the students who enter my classroom have already given up hope that they will ever be successful with math. I bet there are many other teachers out there who have this same problem! Since I deal with this problem every day, I have tried lots of different methods, but these are the top five practices that make the biggest impact for the students in my classroom. 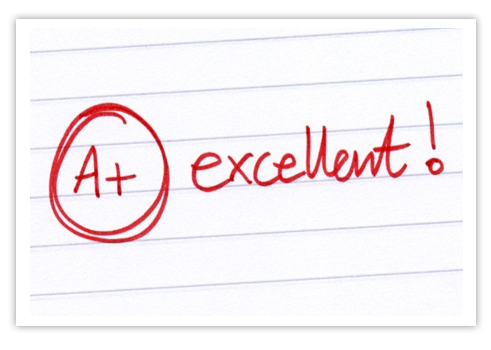 1) Help students correct their mistakes and earn 100% on every assignment! This takes a lot of time and patience to accomplish with a large class, but it is so worth it! 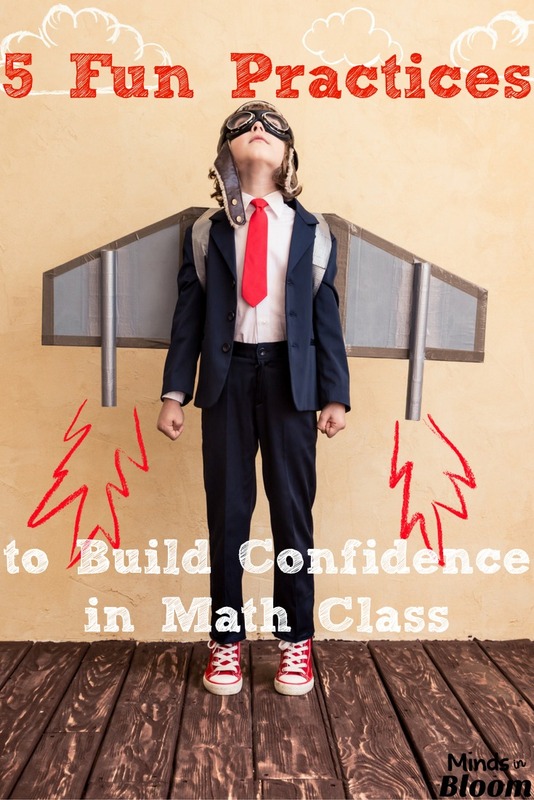 Many students lose confidence in math class because they have made mistakes in the past. Students rarely go back on their own to correct those mistakes so that they can learn from them. Teach your students that it is OK to make mistakes, as long as we learn from them. If you help your students learn from their mistakes, they will feel more confident moving forward! Classwork/Homework Assignments: In my intervention classes, students do not get credit for an assignment until there are NO mistakes. At first they are upset when I pass back an assignment with problems circled, and I tell them that they must re-do those problems and turn it in again. But once the assignment has been corrected, that same disheartened student is extremely proud of his/her hard work! My students even start asking me to grade their page the first time with a pencil so that there are no pen marks at the end once they have fixed up the assignment. You won’t believe the improvement in student confidence when they work hard to earn 100% on every assignment! Assessments: It is also a great idea to offer some type of incentive for students to make corrections on quizzes, tests, or other assessments. My students are allowed to take a retake if they first re-do all of the problems that they missed. Offering points for corrections gives a little bit of incentive for students to look back and figure out what they did wrong. Oftentimes students find that they made a careless mistake, and then they are excited to retake the test in order to get a better grade. Correcting these little mistakes reminds them to be more careful next time. Students need to get in the habit of reflecting on their work and learning from their mistakes. The younger they get into this habit, the better! If you expect students to make corrections on every assignment, then you will need to offer “Catch-up Days.” This is a free time for students to work on any assignments that need to be corrected. These assignments are not considered “late,” but it is necessary to offer some time in class to work on corrections in order for the assignments to be completed in a timely manner. To keep track of this, every student has a folder that they keep in the classroom for “Work in Progress.” These are assignments that need to be corrected before they will get points. If a student is finished with the current task, then any little bit of extra time should be used for work in progress, and students always know that these assignments need to be “fixed up” before they will get credit. Whenever a student is finished with the current task, they know to check their “Work in Progress” to find something to do next. It helps with the grading if you pick a day once a week to offer the opportunity for students to catch up. Every week on Friday, we use the “Ketchups and Pickles” strategy to divide the students into two groups and give them extra motivation to get caught up on their assignments. Recognize and reward students for trying! Participation points can go a long way to help improve a student’s confidence in math class. Self-conscious students in math usually feel that it is all about getting the right answer. We need to show them that it is just as important to show perseverance as is it to solve the problem correctly. 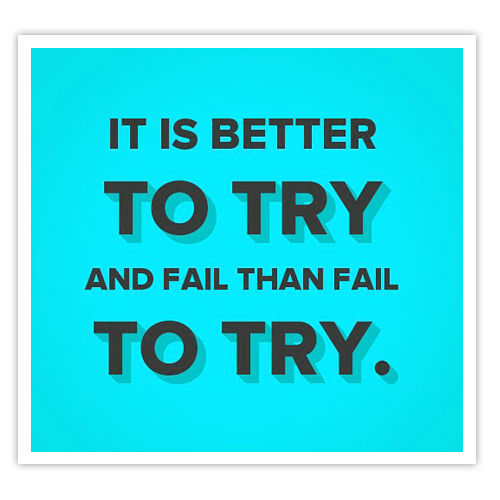 It is better to try and fail than to fail to try. We all have had those students who just waste time, and sometimes we want to just collect that assignment and give them a big fat zero to show that their behavior did not go unnoticed. Come up with a different system for those types of issues. I give out participation points every day, and a student will only earn those points if they are using their time wisely, acting appropriately, and participating. I try not to collect an incomplete assignment and end up taking points away from an assignment when it was really a behavior/participation issue. In math students can’t afford to just skip a topic! Remind your students that math is cumulative, so they cannot just accept that they don’t understand and move on. I’m sure all teachers know that that is a recipe for disaster now and in the future! 4) Let the students TEACH! One of the most rewarding experiences for a student is to teach and help his/her peers. The warm-up routine in my classroom includes at least three bell work questions. Students rush into my class to get to work on the bell work questions because the first three students to have all of the correct answers get to walk around the room with one of my red pens and a special “Ask Me” tag. Those students are the graders for the bell work. You could also assign students to be the graders for the day or the week, because you need to make sure that everyone gets a chance to be the grader! During the first five minutes of class, the graders walk around the room checking student answers and answering questions. Whenever an answer is correct, the graders use my special pens to put a star on that problem. At the end of the week, when I collect the bell work pages, students only get points if they received stars on their bell work. This has an extra benefit for me because the grading is already done at the end of the week. We use the “Ask Me” tags for students who have completed their assignments, as well. When students are finished with a worksheet or a textbook assignment, I check the answers of the first student who finishes. Then, that student becomes the grader for the next person who finishes. We take time at the beginning of the year to go over all of the requirements to be a helper, and students know that the privilege of being a helper can be quickly taken away from a student who is not being responsible. I allow up to three students to be helpers at a time, because I can easily keep track of that many students walking around the classroom, but you will have to see what works well in your class. 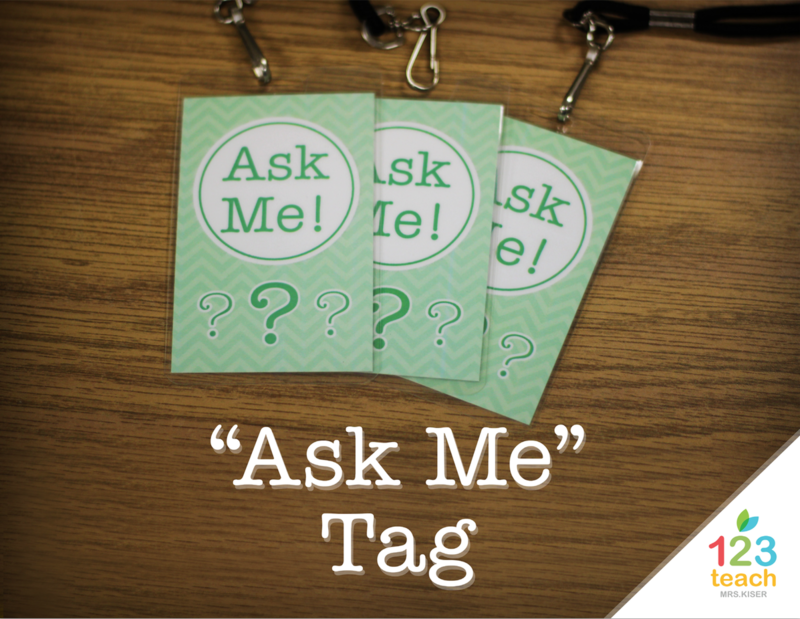 Check out my TpT store to find these “Ask Me” tags to help you implement this strategy in your classroom. Many students struggle with math because they have lost interest. Don’t forget to make it fun for the students! My students are motivated by games, puzzle activities, competitions, prizes, etc. Kahoot is a great resource that provides a way to assess students while participating in a fun competition. Students are also motivated by trying different types of activities. If the students know what to expect every day, they will get bored and uninterested quickly. Make sure to switch it up! When you plan out your unit, pay close attention to include different types of activities throughout the unit. As soon as students realize that you change it up often, they will start walking in the door excited to find out what they are doing today! Students will enter the class excited and with a positive attitude. With a wide range of activities, all different types of learners will have a chance to shine. Most importantly, don’t forget to be excited about math! Click here to watch a video about a fun and unique activity to motivate students with math! 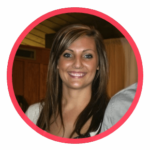 Brittany Kiser, from 123teach, is a teacher-author with experience teaching middle school and high school math. She is currently a middle school math interventionist in Michigan, and she loves creating and sharing resources to reach struggling learners. Visit her TpT store, Pinterest, and blog for more great ideas for teaching math! What a great post! Last year I was moved from K/1 (after 5 years) to 8th grade math. I SURE wish I could have read this article before I started!! This is a great post. I am not yet a teacher but will be certified pk-8. Though I love math and always have, I know that many students – people in general- are not a fan. This may be because they are used to the spoon fed formulas and 50 problems from the text book way of learning math. This post is so great to reteach student to love math, to actually think critically, be engaged, and be proud of their work. Thanks for the ideas, I will be sure to keep these in mind when I become a math teacher. I love how these ideas enable teachers to use assessments to further support student learning – Thanks!